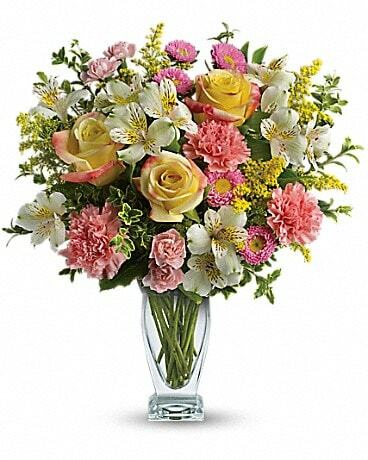 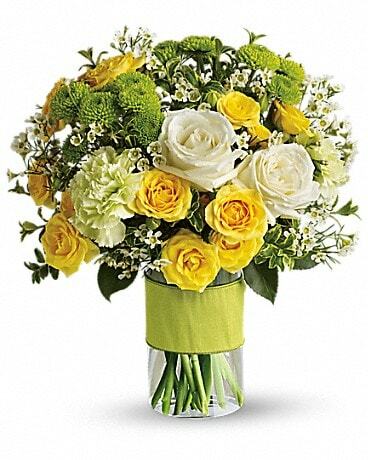 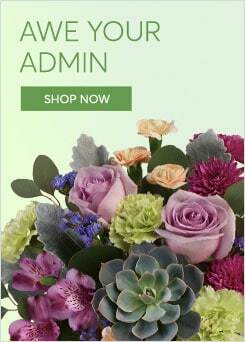 This lavishly designed romantic arrangement in pinks and reds is a lovely gift. 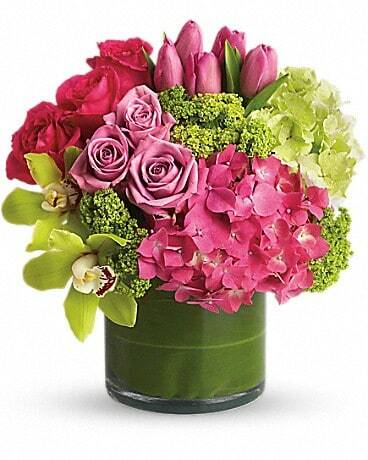 This combination of colors and flowers is delightful. 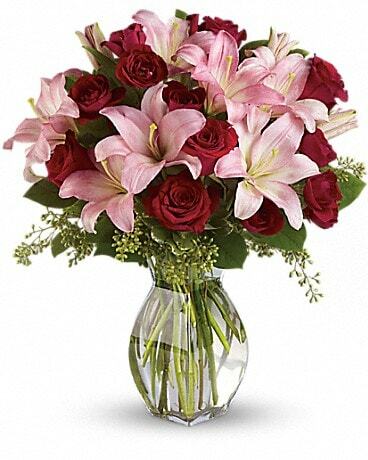 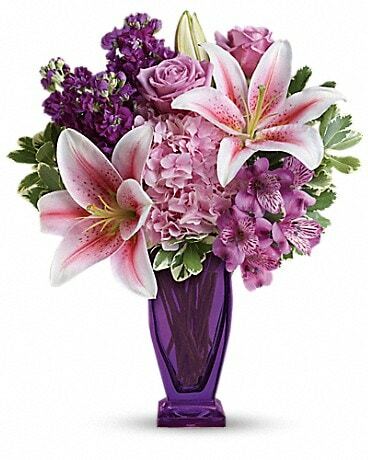 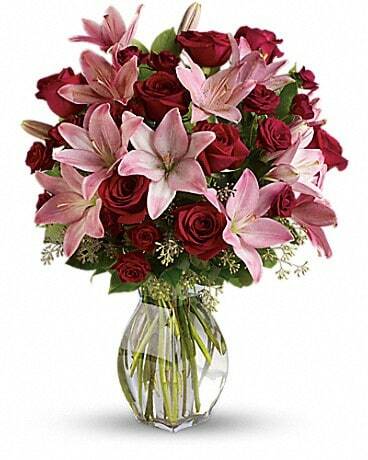 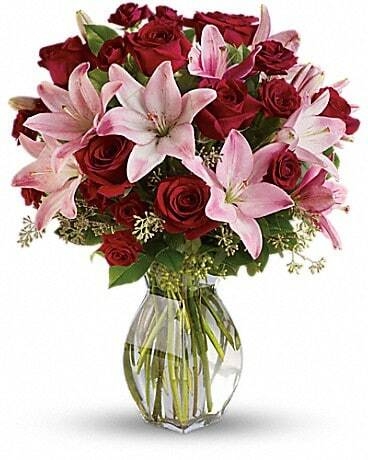 Radiant red roses and pretty pink asiatic lilies are beautifully arranged in a stylish clear glass vase.